Just off of the northern tip of Sicily, sits a group of rarely visited islands called the Aegadian Islands or Egadi Islands, which are a lovely set of islands in which to cruise on a Western Mediterranean yacht charter. While hard to find a remote corner of the Western Mediterranean, this island archipelago would certainly be it. And this is a group of islands that are accessed from another island, the largest island in Italy, Sicily. From the internationally known island of Sicily to the tucked away Aegadian Islands, a yacht charter in this area is an itinerary of either end of the spectrum of island life. And as the mythical “Aegades” of Homer’s tale this is a set of islands perhaps better known in antiquity than they are today. These three islands have been virtually untouched by man. Favignana, Marettimo, and Levanzo are the main islands of this group and are surrounded by “microisles” or crags of rock that dot the waters around these islands. Indian Figs, dwarf palms and Mediterranean shrub covers these islands that are home to many migratory birds. 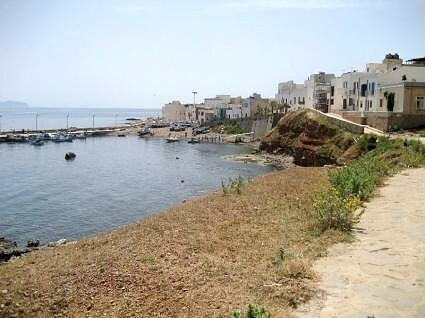 Favignana is the largest island, and the only one with any overnight accommodation. This accommodation is in the form of camp grounds and simple family style hotels, which is the same for the few restaurants. 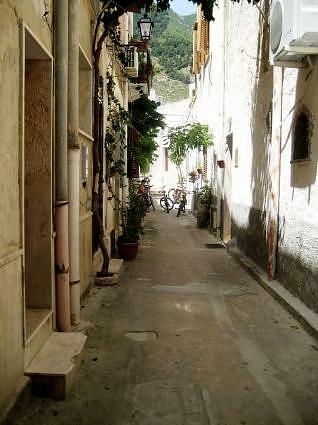 Levanzo is the smallest Aegadian Island and Marettimo is close by as a large island rising straight out of the sea. 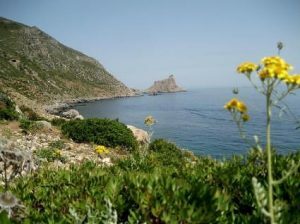 These islands are honeycombed with caves and grottos, both inland and along the coast, and feature white cliffs rising out of the ocean topped with a rich and varied vegetation, where many rare botanical species are found having flourished in relative peace and quiet for centuries. The crystal clear waters around each island beckon to divers and snorkelers, along with the many caves and grottos. 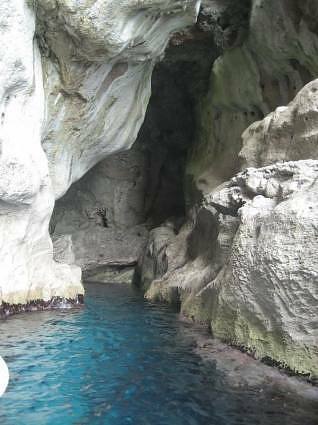 Visit the Grotto of San Nicola on Favignana to see graffiti left by some the first Prehistoric Inhabitants of this island. The waters around these islands are filled with sponges, lobsters and crabs, and sponge gathering was once an industry in these islands. Today, the few islanders mainly make their living from tuna fishing, as these waters are known as the “highways of tuna fish”. And tuna and lobster do feature on the menus of the few restaurants, and very fresh tuna is often available for purchase. 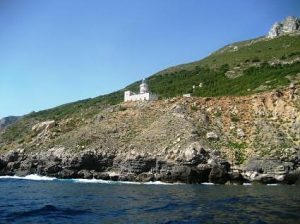 For a Western Mediterranean yacht charter out of Sicily, at Northrop and Johnson Yacht Charters, we suggest including the Aegadian Islands as well in your yacht charter itinerary.